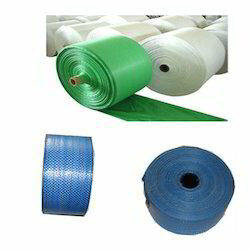 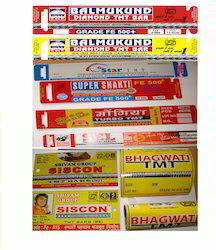 We are counted amongst one of the prominent leading manufacturers of TMT Tag and suppliers of Plastic strapper,HDPE Jumbo Bags, Fabricated Shopping Bags Gift, Advertisement & Publicity items These products are designed using high quality raw material which is sourced from reliable and consistent vendors. 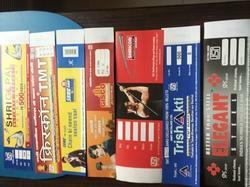 Also, these are available in various sizes and designs, and can be customized as per the requirements stated by our clients. 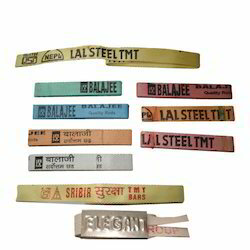 Leading Exporter of Metal Tags For TMT Bar Bundles (Type 1), TMT Paper Tags / Labels, T.M.T Metal Tags (Type 2), TMT Tags and T.M.T Paper Tag/ Label- Non Tearable from Kolkata.